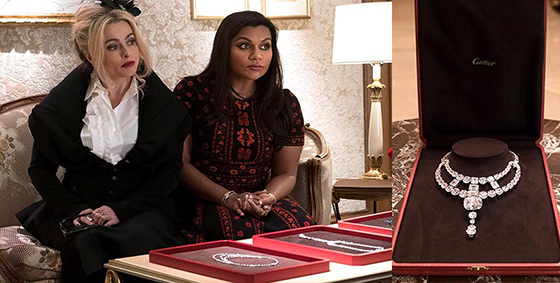 That big diamond necklace featured in the first and second Ocean’s 8 trailers, the target of the heist in the film, the piece worn by Anne Hathaway and coveted by Sandra Bullock’s crew of thieves Cate Blanchett, Rihanna, Mindy Kaling, Awkwafina, Helena Bonham Carter and Sarah Paulson has a spectacular story behind it that has just been revealed. The jewel is not something that was whipped up by the costume department or a prop master, which was honestly pretty obvious from first glance at the stunner. It was made on the rue de la Paix in Paris at Cartier by craftsmen in the High Jewelry department who are among the best and brightest talents in the field. 12-carat olive-green diamond and several substantially sized pink diamonds among other huge white diamonds. Jacques Cartier said the necklace for the Maharajah, a major client of the jeweler, was “a superb realization of a connoisseur’s dream.” One of the Maharajah’s other exceptional Cartier jewels was a diamond Turban Ornament set with the 61.50-carat Tiger Eye Diamond. While the original necklace no longer exists, the Turban Ornament is currently in the amazing Al Thani collection. The jewel featured in Ocean’s 8 is named after Cartier’s legendary Creative Director, Jeanne Toussaint. 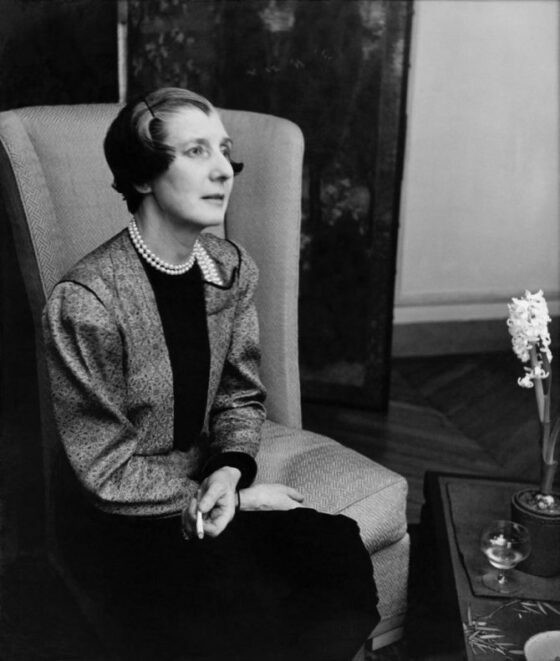 A visionary and pioneering woman, Toussaint was decisive in establishing Cartier’s style beginning in the 1930s. 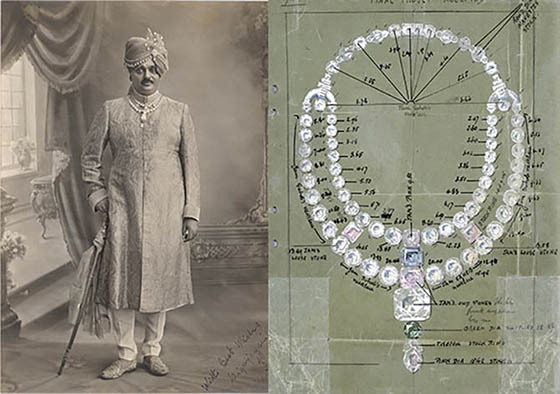 She adored Indian jewelry and found inspiration in the splendor of the great Maharajas. Toussaint also had an independent, frankly badass, attitude like the women on the crew in the movie. While all the care of the creation of a piece of High Jewelry was put into the production of the Jeanne Toussaint Necklace, the gems are not diamonds. They are zirconium oxides, a natural material, mounted on white gold. There are two huge reasons why the imitation gems were used. One is time. The necklace had to be made in eight weeks. It would take an inestimable amount of time to assemble diamonds of the size and scale used in the necklace. The other reason is money. In the film the necklace is valued at over $100-million and in reality the price would be at least that. The jewel made in real gems could practically run the price of the entire film production.